Children and adults are able to hold baby kittens, bunnies, goats, pigs and chicks. Then walk around and feed goats, sheep, and donkeys. Horses and calves are available for petting, geese, ducks, chickens, peacocks, and pheasants fill the barnyard with noise and feathers. Open seasonally mid-April to October 31; Saturday 10:00 a.m.-5:00 p.m. and closed Sunday's until fall, Sunday 12:00-5:00 p.m. except holidays. 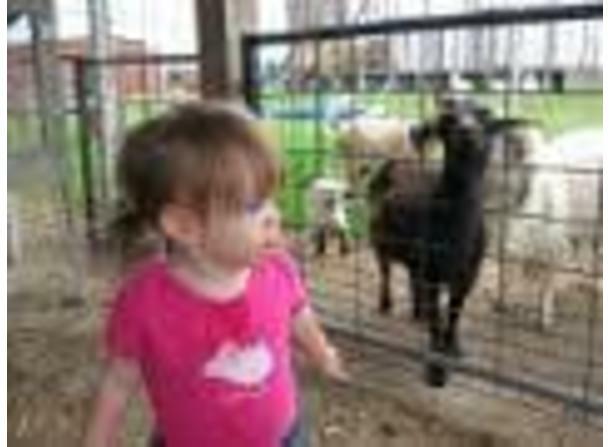 Petting farm admission is $4 per person, infants under 1 year old free, hayrides (includes pumpkin in fall) is $5 per person, pony rides $4 per person, weather permitting.